Blog Post - Should I wear Mittens or Gloves? Gloves, with their individual fingers, offer better dexterity than mittens and are ideal for activities where you need to frequently handle gear. Lightweight gloves are a great choice for aerobic activities, such as cross-country skiing, where your body is generating lots of heat, or if it's not super windy or cold. Mittens tend to be warmer than gloves because your fingers generate more heat when they're not separated from each other by fabric, as they are with gloves. They aren't as dexterous as gloves but they can still serve you well when you're holding a water bottle, carving down the mountain, or heading out for a hike in frigid temperatures. If you suffer from Raynauds - mittens are almost always a better option in colder temps. 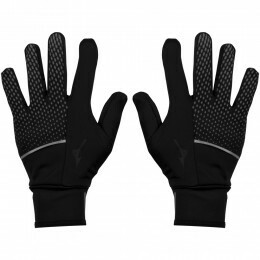 Mizuno Breath Thermo Warmalite Glove: including a Breath Thermo fleece generates heat for additional warmth and touch screen forefinger for your electronic devices. 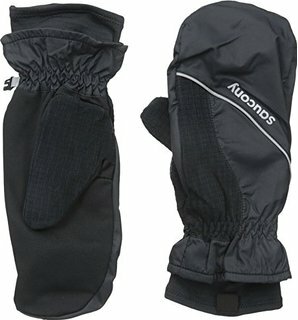 Saucony Run Mitt: A fleece panel acts as a nose-wipe, and reflective details keep you visible in the darker hours.